Out on the edge of Cameron Village, you’ll find the new soca Cocina Latina (Latin American kitchen) restaurant. Brought to you by the folks from downtown Raleigh’s Buku, soca sits in the lovely space that use to be Faire. 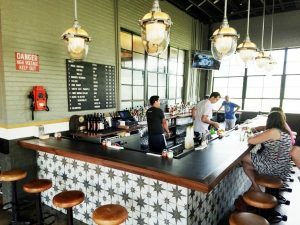 From its prominent corner location, soothing interior design and fantastic patio, soca is doing things very differently than its predecessor. And it’s all in a good way, here’s how my first visit to soca went down! 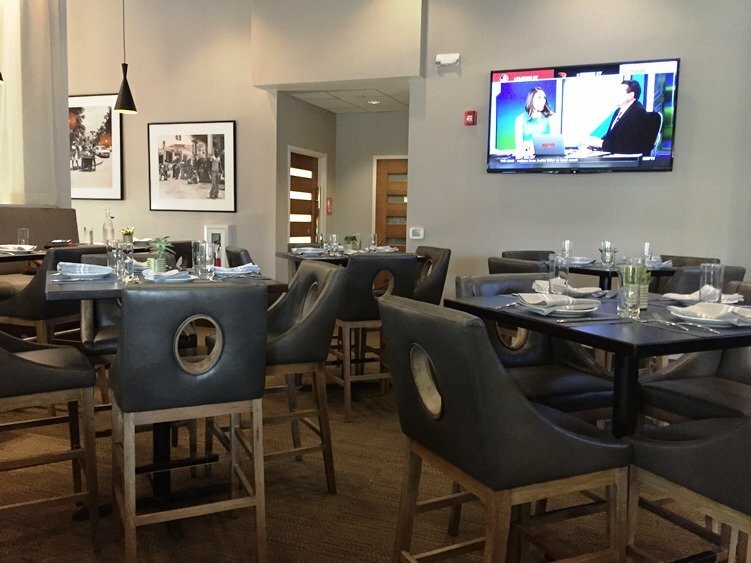 If you’re headed over to soca for dinner, just be aware that it’s located in the Berkshire Cameron Village apartment complex which means there are some spaces available in their parking structure off of Clark Avenue. From there you can take the elevator or stairwell to the ground level and head over to the corner that soca sits on. Heading in, you’ll immediately step through their lovely patio and verandah area. Inside soca, the decor is soft and muted with plenty of weather-worn browns, tans and creams. A snazzy hostess desk with lit soca signage greets you, we head over to the bar to grab a drink. 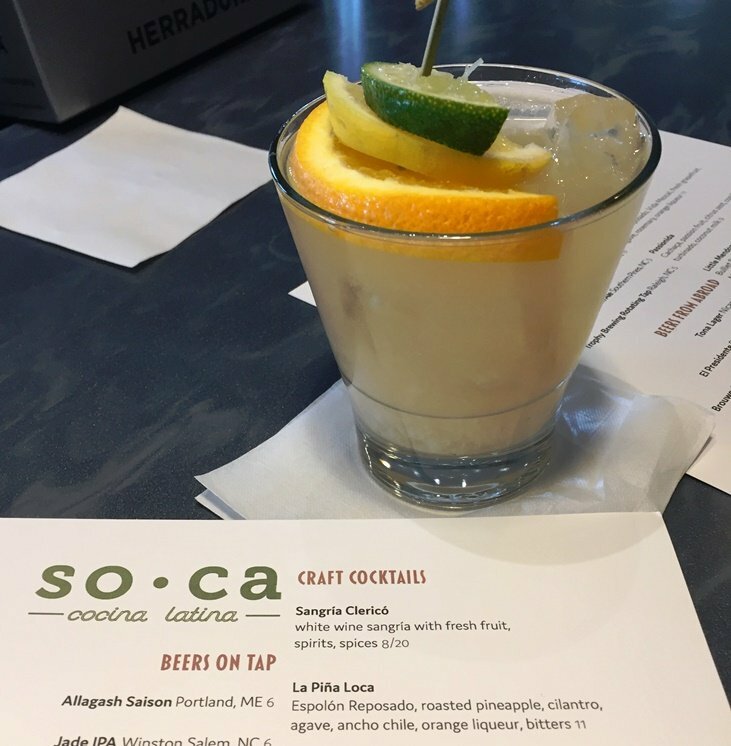 soca offers up a variety of fruit-forward cocktails from $8 to $11, my passion fruit based passionida is really interesting! Before our cocktails are done, we head out to the patio for dinner on a high 2-top by the street. 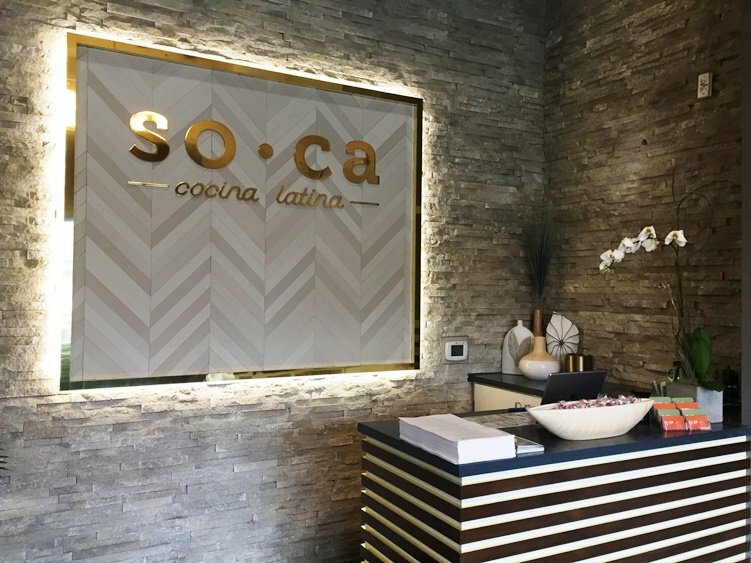 Popping open soca’s menu, you’ll immediately find it stays true to its cocina latina tagline! 20 or so platos pequenos (small plates), 6 platos fuertes (large plates) and 6 platos de la gente (plates of the people). While soca is more of a Latino fusion sort of restaurant, its more authentic plates fall under the platos de la gente category. Our waitperson also tells us that menu is staff-driven, spins of favorite dishes across Latin and Central America. 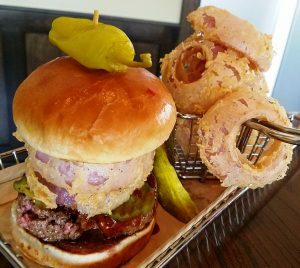 Given it’s the first visit for both of us, we order up three small plates along with a large each. 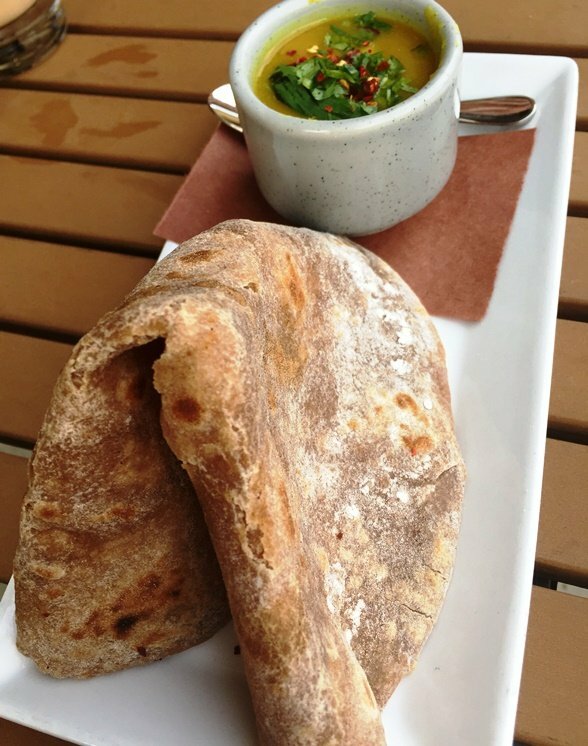 The Caribbean roti come out served with a pumpkin curry, mango, chile sauce. This appetizer uses a darker, wheat flour and it’s thicker than your typical roti. The latin american roti is a nice option and creative but let’s face it, you can’t really beat the traditional Malaysian roti canai! So while I enjoyed this spin dish, it fell a bit short for me. 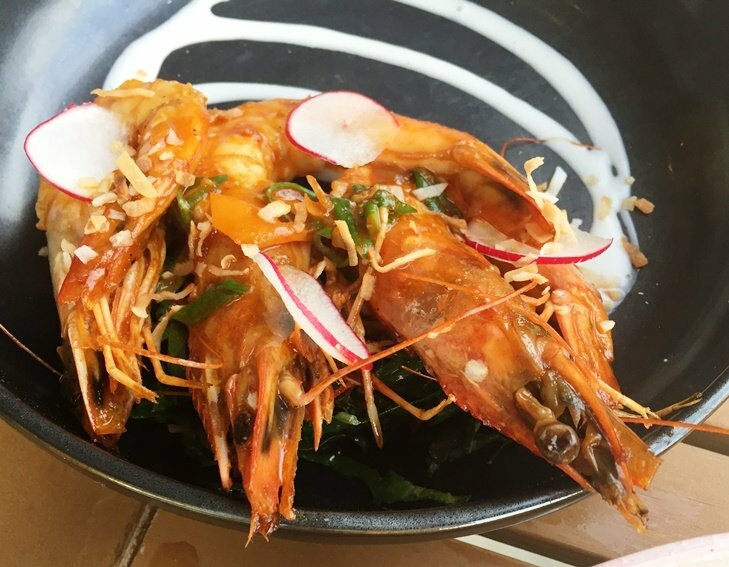 Our Jamaican pepper prawns are up next, three large head-on shrimp, grilled and served in a hot paprika, scotch bonnet sauce with ginger prawn. The prawns were cooked nicely and there’s a bit of heat to this dish but not as much as I would have hoped for. But it’s beautifully plated with a decorative swirl of sauce in black ceramic-ware. 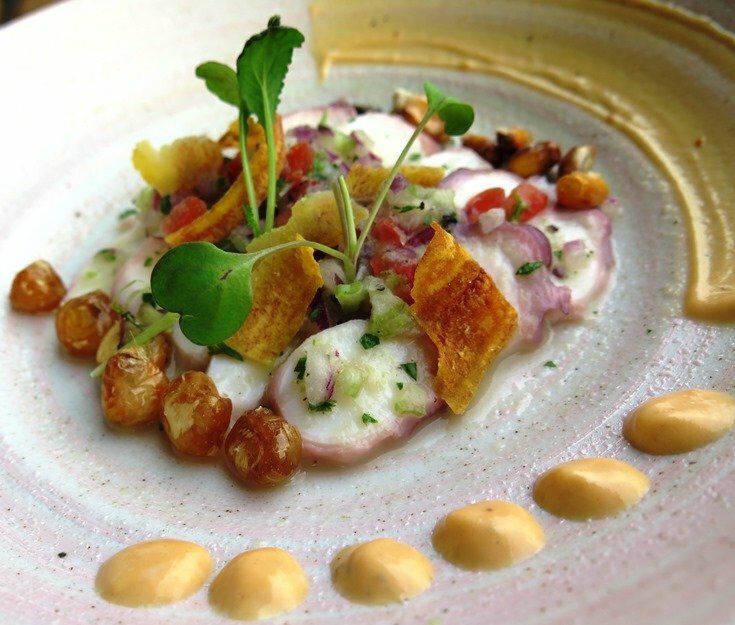 The ceviche de pulpo (octopus) is a colorful plate of tender octopus served with a citrus-aji sauce and tomatoes. Again, a beautiful plate presented with love! 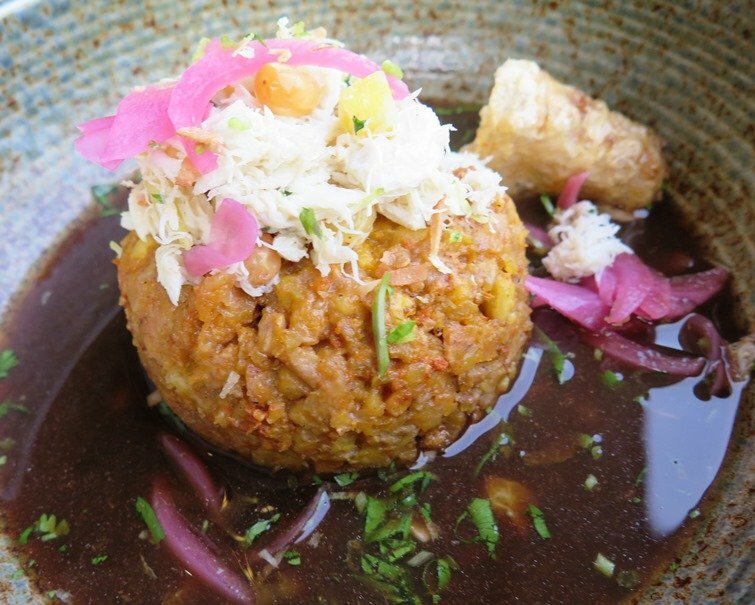 I’m really excited when my entree hits the table, a Puerto Rican crab mofongo. In my bowl I have a round scoop of smashed plantains topped with a bit of lump crab and served in a delicious tamarind broth. 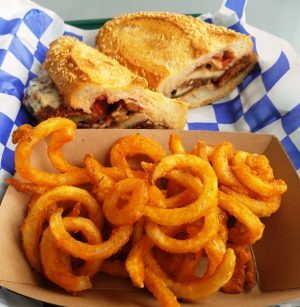 One small chicarron to the side along with some pickled onions makes it a feast for the eyes. And it’s a tasty dish but the crab gets a bit overwhelmed with all the stronger flavors on the plate. 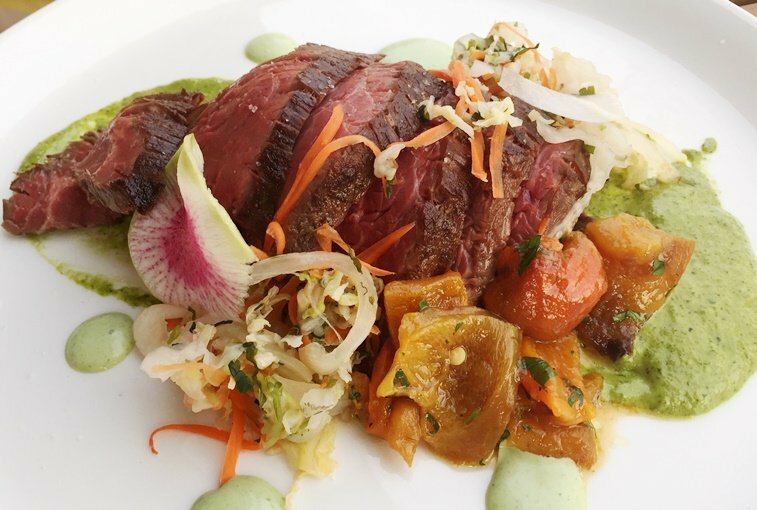 My table-mate’s churrasco steak is perfectly rare and presented with a lot of color and texture to the plate.